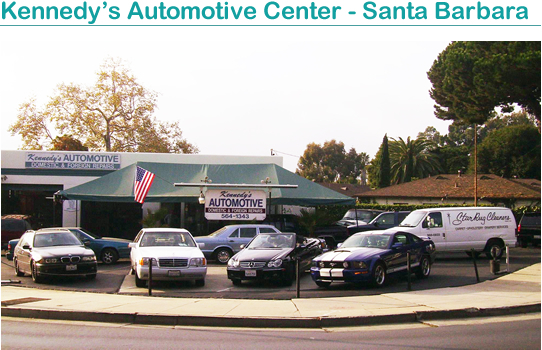 Santa Barbara Auto Repair Kennedy’s Automotive Service provides excellent, fast and efficient auto repair and maintenance at reasonable prices. Mike Newton has been operating his car repair and maintenance service with highly experienced mechanics on the corner across from the Santa Barbara Bowl since 2000. Mike is a highly qualified local master mechanic who has worked at prestigious dealerships. With over 20 years of experience in all aspects of automotive maintenance and repairs, Mike has been a Certified Master BMW Technician as well as a Certified Master Volvo Technician. Raised in Santa Barbara since the age of 2, when he’s not tuning up your vehicle, he’s out on the Channel, crewing on a racing sailboat. Be a part of the best of the Santa Barbara experience, bring your car into Kennedy’s Automotive at 836 Anapamu Street at the top of Milpas. Kennedy’s Automotive is located across from the Santa Barbara Bowl. We are equipped and trained to provide the full range of professional auto repair services. At Kennedy’s we know what we’re doing, because we’ve been servicing cars a long time — and we’ve got many loyal customers because we do it very well. 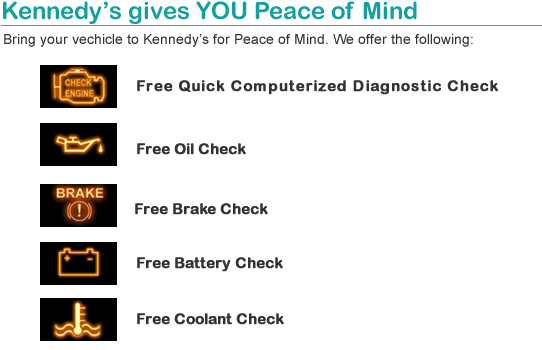 For cars or light trucks, whether you need repairs or regular maintenance, for radiators, brakes, transmission, and all other usual maintenance and repair service, you can trust Kennedy’s Automotive. We proudly service Santa Barbara Auto Repair with expert service and computerized diagnostic repair. State of California Licensed Certified Smog Test facility that provides smog test for all vehicles 2000 and newer. I cannot speak highly enough of Kennedy's Auto. My car decided to not start before a big road trip. Kennedy's happened to be within walking distance of my apartment so I got there when they opened and got my car towed there. Right away, the owner said they could get my car in on Monday and they had it fixed it no time. When the air conditioning stopped working after that repair, they were quick to find a way to fix that within the week. I am a young, single woman and was extremely worried about getting taken advantage of due to my minimal knowledge of cars and the fact that my car is older and probably could use a lot of things to be replaced but some repairs are not worth it for a car I know will only last a couple of more years. Kennedy's has been absolutely outstanding. Each one of the mechanics has been great about explaining what they did to my car and what needs to be done and when- they never try to replace things that don't truly need it and they are always willing to give advice on what repairs they think are worth it or not. My parents were overjoyed that I found this mechanic shop and I cannot recommend them enough.